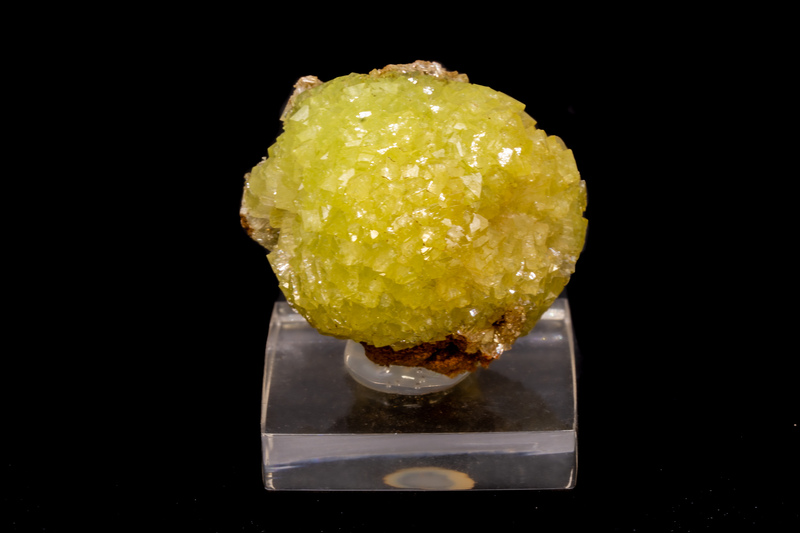 Adamite is a zinc arsenate mineral that was first discovered in 1866 in Chile. Pure Adamite is colorless and usually less than an inch in diameter. The green sometimes seen within Adamite is actually caused by copper. This mineral is usually found as bright yellow, but can also be green, white, brown, or even colorless. The nicest Adamite specimens have been found in Namibia and Mexico. Adamite is a stone that enhances the solar plexus and heart chakras, aligning them together. By doing so, the Will is able to synergize with feelings released from the heart, exposing wants and desires while finding ways to pursue those said dreams. Adamite helps users get that “fire” relit inside of you, producing determination and optimism for one to achieve their desired destiny. Adamite has healing effects on the physical body as well and is recommended for anyone dealing with depression, mental fog, everyday cloudiness, or lack of energy. It stimulates the Endocrine System and will aid in everyday chemical imbalances most of us don’t even know we're dealing with on a daily basis. Adamite will help reconnect the body back to the mind and allow everything to get back to running smoothly. Adamite is very rare crystal you’ll only see in small pieces so it’s common for users to use an enhancing crystal such as Quartz or Rose Quartz to elevate the effects. Rose Quartz, and just about any other heart and solar plexus stone such as Citrine and Heliodor, will act as gasoline on that “fire inside”. The heightened drive and determination will make any distant goal or dream become a not so distant reality you’ll be able to work towards achieving.